Enhance the value of your home and the versatility of your business with our selection of luxury vinyl flooring in Springdale, AR. When you walk through the doors of our expansive showroom, you will immediately recognize the difference. At Flooring America by Carpet Smart, we offer much more than value-added floor coverings. Our design specialists are ready to provide you with the support you need to complete your next project. Expand your design horizon when you work with a team that considers your entire home. Every room has a different purpose and unique needs when it comes to the flooring you choose. When a client wants the character and warmth of hardwood flooring in a place with higher levels of moisture, there is a solution. Solid hardwood expands and contracts when exposed to standing water, so invest in a flooring option that is designed to withstand the impacts of modern family life. Choose the right flooring for every room and get an interior that fits your way of life. Our 5 Star Selection system is designed to give the customer the flooring they want and the protections they need for the coming years. Broaden your design horizon and get the functionality and appeal you need for your business when you start your planning at our showroom. We review each flooring choice to ensure you get the price protection guarantees and installation warranties you need. 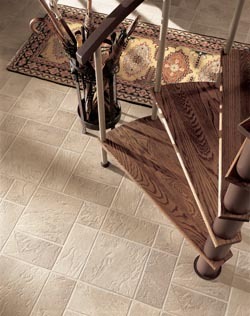 Luxury vinyl provides you with resilient flooring that mimics the appearance of wood, stone, and ceramic tile. Your finished basement can have a professional look that is sure to improve the resale value of your home when you decorate with luxury vinyl plank flooring. Solid hardwood is an excellent choice for a number of rooms, but vinyl tile and plank make more sense in other areas. When you hire a group with the right tools and training for luxury vinyl tile installation, the resulting look is sure to make an impact. Invest in new flooring for a home or business, and get an assurance that the product will perform for years to come. We ask the important questions to get a full understanding of your needs. With the right measurements, our team can complete an installation project according to your schedule. You deserve flooring that makes every room a destination. With luxury vinyl, you get the best of both worlds and a home that fits your way of life. Contact us today to learn more about the resiliency and appeal of luxury vinyl flooring. We proudly serve customers in Springdale, Fayetteville, Lowell, Cave Spring, and Siloam Springs, Arkansas, and surrounding communities.